In our formative years, we define ourselves with temporary labels called our major and minor fields of study. We give ourselves over to the insular community common to college life; we fit in and find our place, but before we know it, it’s over. Each of us is thrust out into the white, rushing waters of adult responsibility, forced to fit a new mold – of growing, of aging, of moving on in stages all the while trying to keep our heads above the water. 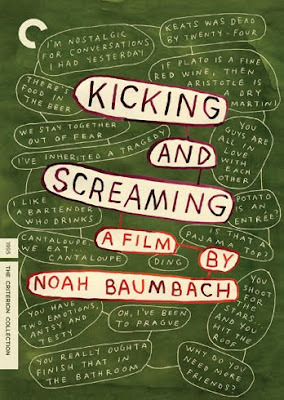 Noah Baumbach’s Kicking and Screaming (1995) is the story of a group of inseparable friends (Grover, Max, Otis, and Skippy) who would rather drown in the throes of their post-graduation stasis and indecision than move on to real life. In the endlessly quotable, equally hilarious and tragic hour-and-a-half that follows, Baumbach illustrates a post-graduate worst-case-scenario filled with failed plans, delayed impulsiveness, and a brand of nostalgia which for the viewer becomes the film’s most endearing, relatable quality. 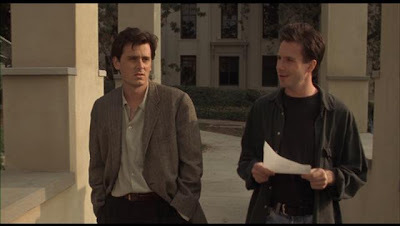 Kicking and Screaming begins on the evening of college graduation, the type of evening where Murphy’s Law rules the night, lurking around every corner and at every bend – especially for the film’s protagonist, Grover (Josh Hamilton), it is an evening of unpleasant surprises. Not five minutes into the film, Grover finds his girlfriend Jane (Olivia d’Abo), whom he met in his senior year, has not only quit drinking and smoking (the latter a habit he picked up from her), but that their mutual plans to move to New York to make their break as budding fiction writers have been dashed by her sudden change of heart to accept a writing fellowship in Prague, in the Czech Republic. All that can go wrong will go wrong. 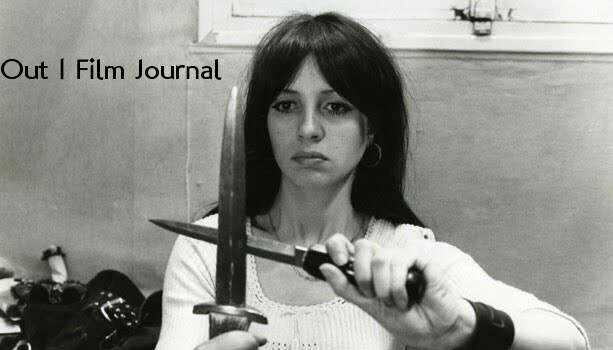 And this first major inciting incident with Jane sets the dour tone of the narrative’s progression, a downward spiral in concentric circles of malaise, interspersed with the absent-minded wishing and dreaming of people with too much time on their hands and frankly too little to do with it. But it’s not entirely a down note of a film, despite the unnerving sense that its characters are going nowhere and taking forever to get there. Despite their lack of any connection to the real world, the days lived from moment to moment are remarkable on account of the mass of misdirected youthful energy put towards sleeping with Freshmen and devoutly watching detergent commercials to see if they get the stain out. Each character deals differently with their inert lifestyle – Grover repeatedly ignores answering machine messages from Jane, while she desperately tries to correct her mistake by reconnecting across oceans; Max (Chris Eigeman) does crossword puzzles relentlessly and dates younger women; Otis (Carlos Jacott) chickens out on his grad school plans, deferring so he can move back in with his mom and work at the local video store; and Skippy (Jason Wiles) wades in the regrets of four years wasted in college and so re-enrolls after graduation in another failed attempt to make up for lost time. It is this characteristic memory and nostalgia that renders Baumbach’s semi-cautionary tale of post-graduation planning gone awry so inexplicably endearing. We, like Max, begin to reminisce moments that have not even happened, we attempt to preserve Baumbach’s narrative in our minds by recalling its many quotes precisely because the portrait of these directionless young men is so open, so uncompromisingly revealed. But memory and nostalgia, while they serve an important emotional purpose, serve in this story to work against the present by keeping its characters stuck in the past. Grover’s story being the primary, we see the world most often through his eyes. we experience the past and present through the framing device of Jane’s calls from Prague, at first ignored by Grover, and only acknowledged once it becomes too late. A message she leaves for him is revealed in incomplete stages, and only near the film’s end is it clear that the heart of her message is that she misses him. Grover spends his time remembering Jane in flashbacks, and meanwhile his other friends are busy concerning themselves with the future instead of the past. Max applies for a job in his former school’s Philosophy department, Otis leaves for graduate school and Skippy gets so fed up with the stasis of the environment, he has a nervous breakdown and disappears. Grover had his chance to seize the moment, to speak up and admit how much he likewise misses Jane – but for Grover that moment has passed. Jane doesn’t call any longer, and he is left alone, wishing and dreaming for recently bygone days. The film’s final moments, contrarily, are its most beautiful and heart wrenching. Appropriately, it comes both in the form of a memory and of a wish, wherein Grover lets his thoughts take him back to a memory of Jane, a construction of what is an impossible future for the both of them, but for Grover just as much a wish in the present as the past. Grover: Ok, the way I see it, if we were an old couple, dated for years, graduated, away from all these scholastic complications, and I reached over and kissed you, you wouldn't say a word, you'd be delighted, probably, but if I was to do that now it'd be quite forward, and if I did it the first time we ever met you probably would hit me. Grover: I just wish we were an old couple so I could do that. Kicking and Screaming is a testament to a timeless generation, to any who face the oncoming challenge of entering the “real world” following college graduation. It is the harrowed poetic illustration of the tendency of youth to resist authority and the becoming of something they cannot satisfactorily be proud of. Likewise, it is the making of important choices and the realization of the consequences that follow, whether positive or negative. In one’s formative years, there are the trivial and there are those people and things that define who you are and who you want to be in the future. Baumbach warns us not to let these people pass us by – it’s a long life, but the opportunities that it affords us are often as temporary, if not more so, as a four-year safety net called college.